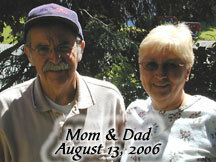 "Had a Dad" Alzheimer's Blog: Alzheimer's-Diabetes link? A few days ago I wrote about a food designed to help with the diabetes-like aspects of Alzheimer's. I wondered how diabetes was related to Alzheimer's. Well, here's the answer. Doctors long suspected diabetes damaged blood vessels that supply the brain. It now seems even more insidious, that the damage may start before someone is diagnosed with full-blown diabetes, back when the body is gradually losing its ability to regulate blood sugar.....But the latest research strengthens the link, and has scientists asking if diabetes and its related "metabolic syndrome" increase risk solely by spurring brain changes that underlie Alzheimer's _ or if they add an extra layer of injury to an already struggling brain, what (Dr. Ralph) Nixon (of New York University) calls "essentially a two-hit situation." My dad did not have diabetes. Well, maybe he did once. When he was in the Air Force, after basic training, he had to leave because they diagnosed him with diabetes. He admits that in the Air Force he hated the food and only ate dessert. When he returned home to live with his aunt and uncle, he ate their home cooked food and --tadaa-- no diabetes anymore. Of course, this link between the two scares me, because I was recently diagnosed with PCOS and part of that syndrome is the possibility of messed-up blood sugar. Mine is okay but it's being watched. So now I'm overweight (part of PCOS as well), with a possiblity of my blood sugar going haywire, and I have a first-degree relative with AD--3 risk factors (plus being female). I might as well put my name on the nursing home list now. My father was recently diagnosed and is using Aricept. He wants to participate in a clinical trial in Florida (we live in Tampa). Says it is a 3 month trial of a drug from Abbott Laboratories that targets NNRs in the brain (?). The trial allows the participant to keep using the drug after the trial. What are your thoughts on NNRs and trials in general? I'm willing and my father is insistant.